Chances are, even if you’re a native Atlantan, you probably know little about the three towering AmericasMart® buildings at Peachtree Street and John Portman Boulevard in Downtown Atlanta. You may have heard of “The Mart,” or seen throngs of people flooding area streets several times per year. These events and buildings can be mysterious to the average Atlantan because they are not open to the public, but are exclusive sourcing destinations for stores, boutiques, and designers across the Southeast and beyond. Comprising more than 7 million square feet of showroom and exhibit space, AmericasMart is the premiere destination for home, gift, and apparel retailers to source a huge range of products for their stores. To gain entrance to the majority of the campus, you need to be a credentialed, registered wholesale buyer. 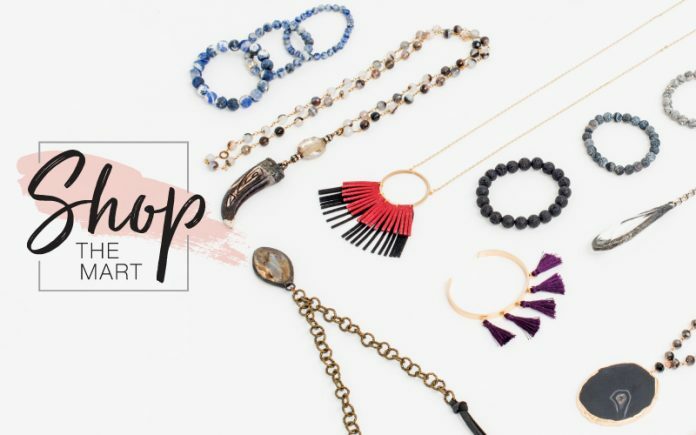 But there’s a unique opportunity that allows access for non-retailers to a treasure trove of fine jewelry and fashion accessories on non-market days: AmericasMart’s Shop the Mart program. While this special access has been available for several years, it has mostly remained Atlanta’s best-kept shopping secret. This spring, it got a new name and word is now out about the exceptional selection and deals that shoppers can find here. While much of the campus is still not open to the general public, two floors in its apparel and accessories building are accessible to shoppers who register through the AmericasMart website and meet an age requirement (there are guidelines for parents who wish to bring their children). Specifically, this program offers access to Floors 6 and 7 in Building 3 during weekdays when a wholesale-only market event is not taking place. 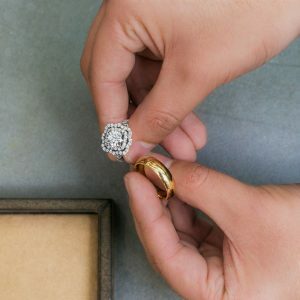 Floor 6 can be best described as Atlanta’s “diamond district,” similar to those in other major cities where shoppers know they can buy directly from diamond importers and find good deals on engagement and wedding bands, loose diamonds, watches, and general fine jewelry. This floor offers a wide selection of showrooms to visit with a secure, comfortable shopping experience. Visitors receive personal attention, and there’s no match for the variety of showrooms you can browse under one roof. Just above, on Floor 7, shoppers can find a broad range of apparel and accessories across more than 50 showrooms. 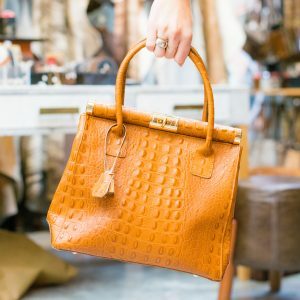 In addition to showrooms with women’s apparel, handbags, and fashion accessories, specialty showrooms offer luxe leather items and men’s apparel and gifts. Several handbag showrooms sell luggage and larger totes, and will monogram many of their items onsite. Floor 7 also features multiple eyewear showrooms, which offer designer sunglasses and frames, and will even fill prescription lens orders. 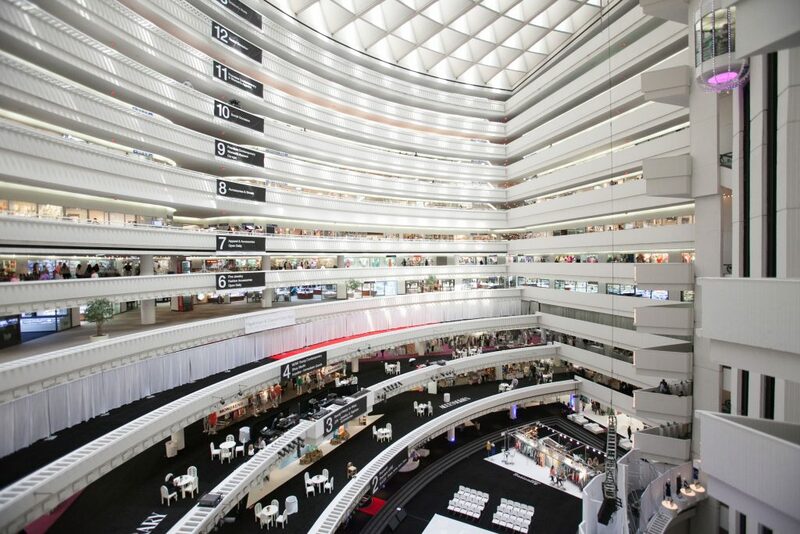 For access to everything that these two floors have to offer, to review blackout dates and admission details, and to register for a pass, visit Shop.AmericasMart.com. Shoppers can also come in person to the registration desk in AmericasMart Building 3, located at 75 John Portman Blvd. NW, Atlanta, GA. Showrooms are open most weekdays, Monday through Friday, from 9a.m.–5p.m. AmericasMart is conveniently located in Downtown Atlanta and surrounded by plenty of parking. Visitors can also take MARTA to the Peachtree Center station, located adjacent to the AmericasMart campus.